Showing recent results 1276 - 1290 of 4490 products found. 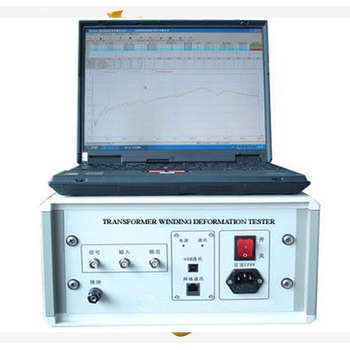 HWDT - Hention Electrical Equipment Co., Ltd.
Transformer winding deformation tester is for checking deformation conditions of high voltage transformers. It adopts two methods to checking deformation conditions: scan-frequency method and low-voltage impedance method. mOByDic5316 - Ozen Elektronik Inc.
Truck brake tester is delivered with a 23" LCD display . A remote control is integrated also only one user is needed for the operation. The roller have an electronic brake for easy outdriving. CX-G13 - Shenzhen Chuangxin Instruments Co., Ltd. Tumbling Barrel Tester The Tumbling Barrel Test simulates repeated falls which may occur to such devices as connectors or small remote control units which are normally attached to cables during use. 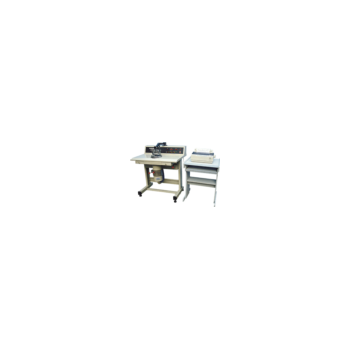 This Digital Bursting Strength Tester is used to test the bursting strength of corrugated papers, synthetic leather and cloth. It can detect and grip the specimen automatically when placing it onto the compression plate. 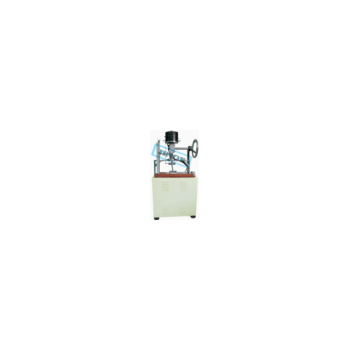 Air Permeability Tester. 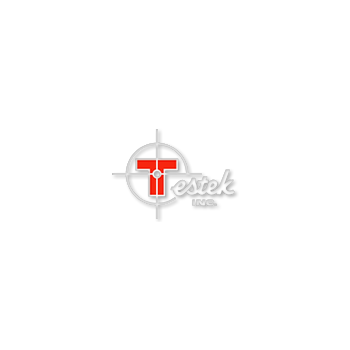 To determine the resistance to the passage of air of a wide range of woven, knitted and non-woven textile materials. Complete with vacuum pump, flows from 0.05ML/sec., to 415ML/sec., pressure drops to 2Kpa. This tester simulates the lace under the reciprocal abrasion at a specified tension to determine its life cycle. The test should be preformed until a test piece breaks and or reaches the pre-set number of cycles. 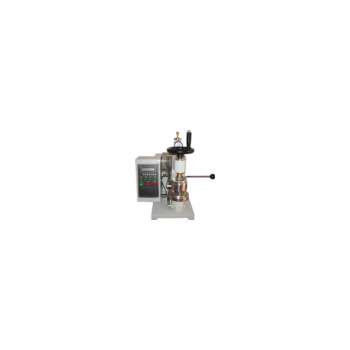 Electric Twist Tester determines yarn twist in single or plyed yarns, quadrant type with auto stop & reverse for conventional or untwist/re-twist methods. Test length adjustable up to 50cm/20 inches for S & Z twist yarns. 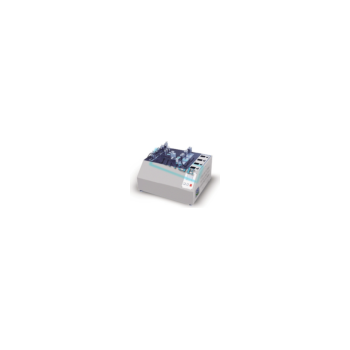 This tester is used to determine the dry static coefficient of friction of shoe sole and the heel materials. Under the specified load on a controlled walking surface, calculate its tangent and perpendicular forces to get the static coefficient of the friction. 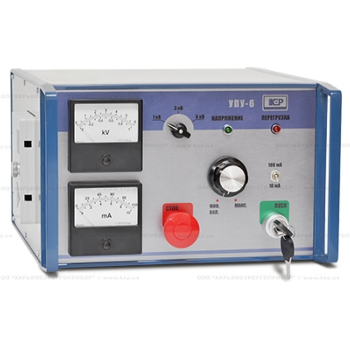 Universal insulation breakdown tester UPU-6 is designed for testing the insulation properties of the electrical equipment with an AC sinusoidal voltage of 50 Hz frequency, as well as with rectified voltage between 0-6 kV of the negative polarity. 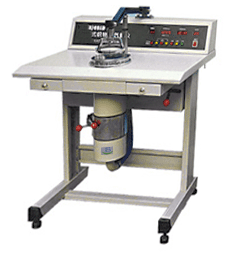 Universal Wear Tester, to determine the wear and abrasion resistance of fabric used in clothing, footwear and industrials. 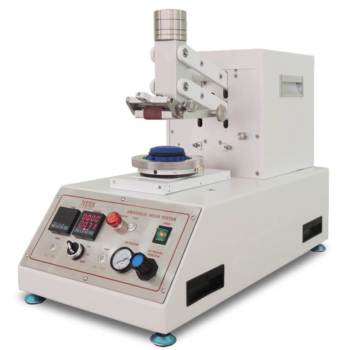 This Wear Testing Machine complies with ASTM D3514/D3885/D3886, AATCC 119/120, FTMS 191/5300/5302, etc. 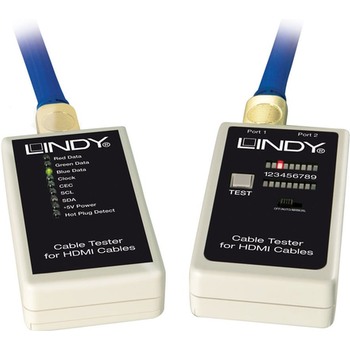 This HDMI cable tester is a compact, palm sized unit for testing HDMI cables. It can be used to read and check the pin-out configuration of cables before and after installation. 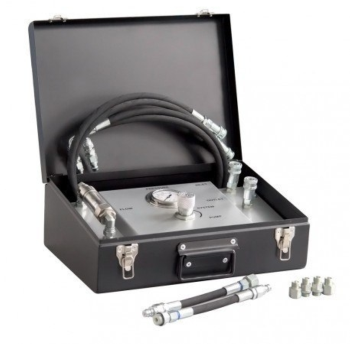 A separate passive module is included for remote testing of pre-installed cables.